The MP Series 32 is designed as a drop-in replacement for conventional unmounted and bracket mounted versions of Short Stop Circuit Breakers found in applications for Trucks, Busses, RV's, Electric Vehicles and Battery Chargers. 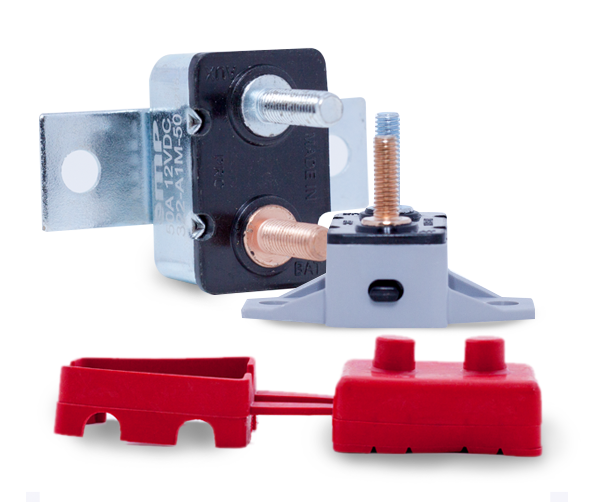 The Series 32 Short Stop style circuit breakers offer versions with superior moisture protection. With the optional circuit breaker boot installed, terminals will be protected against inadvertent short circuits.